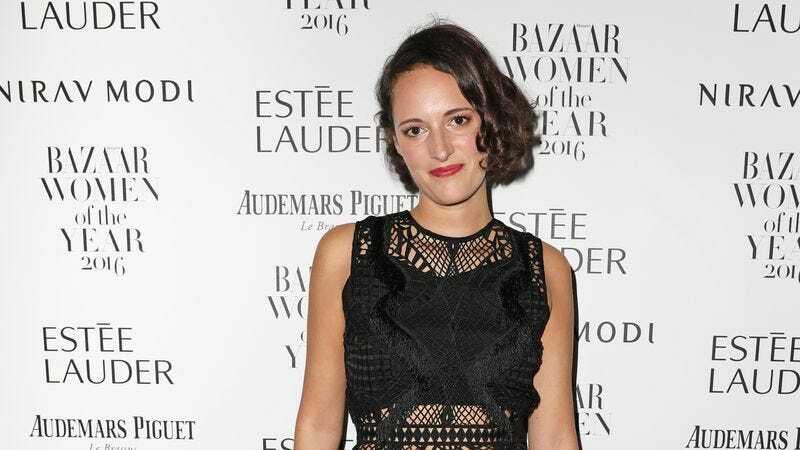 The Amazon show Fleabag’s brand of comedy is so dark, it only makes sense that creator Phoebe Waller-Bridge is embracing those instincts and making the leap into full-fledged drama. BBC America announced today that the network has green-lit an eight-episode series from the actress-writer called Killing Eve. Based on novellas by Luke Jennings, the series is described as a “thriller revolving around a psychopathic assassin and the woman charged with hunting her down.” In a statement, BBC America president Sarah Barnett highlights the “subversive, funny, obsessive relationship between two women, that plays out across some of the most and least glamorous locations imaginable.” Waller-Bridge has a way with messy, maniacal women, so this seems right up her alley. While the press release didn’t say whether Waller-Bridge will star—she could easily take on the role of the “bored” desk-jockey or the killer—she will be on hand as showrunner and executive producer. Killing Eve will premiere sometime in 2018.